"Yunnan Radio and Television International, The Voice of  Shangri-la"
** In Live stream, 1200 later it was broadcast classical music. become the new schedule. It might be re-broadcast is no longer. Chinese : "Yunnan guangbo dianshitai, xianggelila zhi sheng, SW6035"
English : "Yunnan Radio and Television International, the Voice Shangri-La"
"Day la tieng noi Shangri-La, dai phat thanh chuong trinh Van Nam"
SA is like a language to be used in the next broadcast and English. Night time : Chinese language only ? Recently, the station seems to have changed the schedule.. Recently, ther are broadcasting FM relay ?? It is very interesting information .. Thanks to Ron Howard and Mauno !! 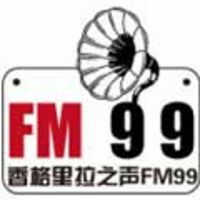 FM99 Shangri-La Tour Frequency : "F-M-99(jiu jiu) xianggelila luyou pinlu"
2300-2400  Flying House Map			"Fei wu ditu"
0000-0100  Flying House Map			"Fei wu ditu"
0100-0200  Journey CD				"Lutu CD"
0200-0300  Ping An 99				"Ping'an 99(jiu-jiu)"
0300-0400  The movie tour			"Dianyang zhi lu"
0400-0500  Travel Supermarket			"Luxing chaoshi"
0500-0600  Fun by car				"Wan zhuan zijia"
0600-0700  Trip CD				"Lutu CD"
0700-0800  Universal Traveler			"Huanqiu lu hang jia"
0800-0900  Play to Happy Purchase		"Wan qu huanle gou"
0900-1000  Auto Market Intelligence Bureau	"Cheshi qingbao ju"
1000-1100  Play Tour				"Hai wan zhi lu"
1100-1200  World Cuisine			"Shijie meishi"
1200-1300  Adventure King			"Maoxian wang"
1300-1400  Journey CD				"Lutu CD"
1400-1500  The poem and the distant		"Shi he yuanfang"
1500-1559  Midnight Flight			"Wuye feixing"
-0829-  6035kHz  Thanks kiwiSDR in CHINA ! The frequency of tourism of Yunnan People's Broadcasting Station (call sign: Voice of Shangri-La) is a new set of frequency-type reforms of Yunnan People's Broadcasting Station in the Dongfeng of the province of national cultural tourism under the care and support of the provincial party committee and the provincial government. The new frequency was officially launched on January 1st, 2005. The frequency of use was FM99, which was broadcasted for 17 hours a day, mainly in the form of a cordial and natural live broadcast. The frequency is positioned to show Yunnan's rich tourism resources and national culture. It will provide tourism tourism culture, provide tourism information services, guide the purpose of tourism consumption, serve tourists, promote tourism, and provide a sound professional for the construction of national cultural tourism province. Promotional platform. The voice of Shangri-La is broadcast at FM 99 MHz and currently covers some cities in Kunming and Yunnan. Within three years, it will cover the coverage of 15 cities, densely populated economically developed areas and important border crossings. In April 2005, the voice of Shangri-La, as the only broadcast media, represented Yunnan People’s Broadcasting Station with the Yunnan Provincial Radio and Television Week delegation of the Yunnan Provincial Government, and signed with the world’s top 10 broadcast and television network platform WCETV. The cooperation agreement will deliver the voice of Shangri-La to the United States and Canada through Internet broadband. In the same period, the voice of Shangri-La also established regular program exchanges with Radio jojo Radio Station in Berlin, Germany, and will exchange visits and exchanges with mainstream radio stations in the United States and other countries to seek closer cooperation and open up overseas publicity channels. At the same time, the voice of Shangri-La and the Yunnan Provincial Tourism Bureau joined the national broadcasting network, realizing the resource sharing and program linkage with more than 20 radio stations across the country, and realized the remote synchronization of more than 20 cities through the local production of the program. Out, not only opened up the channels of remote communication, but also provided a new model for Yunnan tourism promotion. "Shangri-La" is not only a name for a ethnic area in our province, but also a paradise-like place that people yearn for. She is native and global, and extends to the world because of localization. Therefore, the "Singapore Voice" program is based on the mainland, facing the country, radiating ASEAN and Europe and the United States. In the creation of frequency brands, localization, personalization, and strong national culture, national tourism appeal and scarcity make it irreplaceable and become the most distinctive broadcast media in Yunnan. "The Voice of Shangri-La" is broadcast continuously for 17 hours throughout the day, starting at 7 am and ending at 0 pm. The broadcast mode is mainly live broadcast. The live broadcast program can communicate with the audience in an intimate and natural way, and can provide people with food, accommodation, travel, travel, purchase and entertainment services in a timely and efficient manner. The key columns are: "Traveling for everyone", "Wang Hui tells the story", "Tourist Hotline", "Walking the Street", "Golden Travel Line", "Good Tonight", "Fashion Global Village" and so on. "Sound of Shangri-La" has a young, energetic team of high-quality, high-level moderators. The strength of mining, editing and broadcasting is strong, and the ability to plan and organize activities is strong. “Sound of Shangri-La” will attract those who love travel, chasing trends, energetic and economically capable listening groups, and open up a sky of tourism and entertainment for those who are good at finding life and knowing how to enjoy life and pursue quality of life. ** When they had Vietnamese languages at many times. The Voice of Shangri-La (SW6035) of Yunnan People's Broadcasting Station is one of the three external radio stations covered by China's existing independent launch. It is the only external broadcast media in our province and the "mouthpiece" of the party and the government. The program adheres to the sense of the times and the characteristics of the frontier and Yunnan. It is aimed at the overseas Chinese in Southeast Asia, the people of the language target countries, and the audience of the 25-year-old audience on the border of China. The voice of Shangri-La of Yunnan People’s Broadcasting Station was established by the Central Liaison Department, the Central Propaganda Department and the General Political Department of the People’s Liberation Army [(Zheng Lianfa 1981) No. 13], and the existing three independent launches covered by China’s external radio stations. One. It is the only non-profit mainstream media in Yunnan Province that undertakes the task of broadcasting publicity. It is an important window for the world to understand Yunnan and Yunnan to the world. The voice of Shangri-La, the Yunnan People’s Broadcasting Station, was broadcast on October 1, 1986, when the call sign was “Yunnan Radio Station”. In October 2007, the call sign was changed to "The Voice of Shangri-La, Yunnan People's Broadcasting Station". For decades, the voice of Shangri-La, the People’s Broadcasting Station of Yunnan, has strengthened its external propaganda, adhered to publicity and public opinion, controlled the frontline voice of the border, realized the regional development strategy for Southeast Asia and South Asia, and “differentiated” in reverse osmosis and anti-Westernization. And anti-cults have played an irreplaceable role and made positive contributions to safeguarding the motherland's reunification, border peace, and social stability. There are two broadcast languages, Vietnamese and Chinese. The internal organization is a director-level association and two department-level editing and broadcasting departments. The frequency of use is short-wave 6035 kHz and the transmission power is 50 kW. The two antennas can effectively cover China, Vietnam, China and Myanmar, China and Myanmar border counties (cities) and seven Southeast Asian and South Asian countries and regions centered in Hanoi, Vietnam and Bangkok, Thailand. The audience of the Vietnamese-speaking target audience is about 80 million, and the target audience of Chinese-speaking Chinese (Overseas Chinese) is about 17 million. Signals can also affect countries in West Asia, Asia Pacific, Europe and the United States. Broadcast for 5 hours throughout the day, including 3 hours for Vietnamese and 2 hours for Chinese. (around)*1100(1130) - 1600*/1630*    All in Chinese. The end time seems to be different depending on the day of the week. For example : on Wednesday -1630* UTC. I will add the result of the examination. ** Sorry, since the reception status was bad, we will re-monitor. *** Thanks kiwiSDR on CHINA. 6035kHz      s/on same as live stream, non-stop music (Instrumental), "Let it be" etc.. This is NOT FM99 program ? 2300-  same program both live stream..
A survey again is necessary... sorry. GREAT ! Thanks Cahcn !! I did not understand because I did not hear the program name at all.